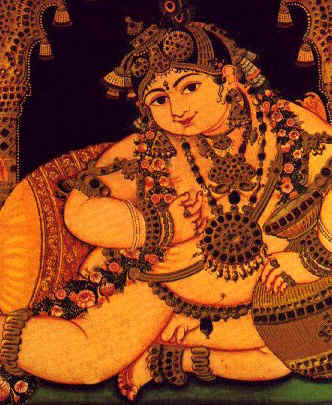 Description Stories of Krishna's childhood, form the basis of several of India's art forms which constitute the subcontinent's cultural backbone. Perialwar, Andal and Tirumangaialwar in the latter half of the 1st millennium CE, have sung of Krishna's childhood at his foster home at Gokulam in a total of 22 verses in Tamil. Gokulam is intimately associated with the much loved colorful legends related to the childhood of Krishna. Gokul, at a distance of about 12 km from Mathura, is what is referred to as the Tiruvaaippaadi Divya Desam. The first verse of Tiruppaavai speaks of 'Seer malgum Aaippaadi'.